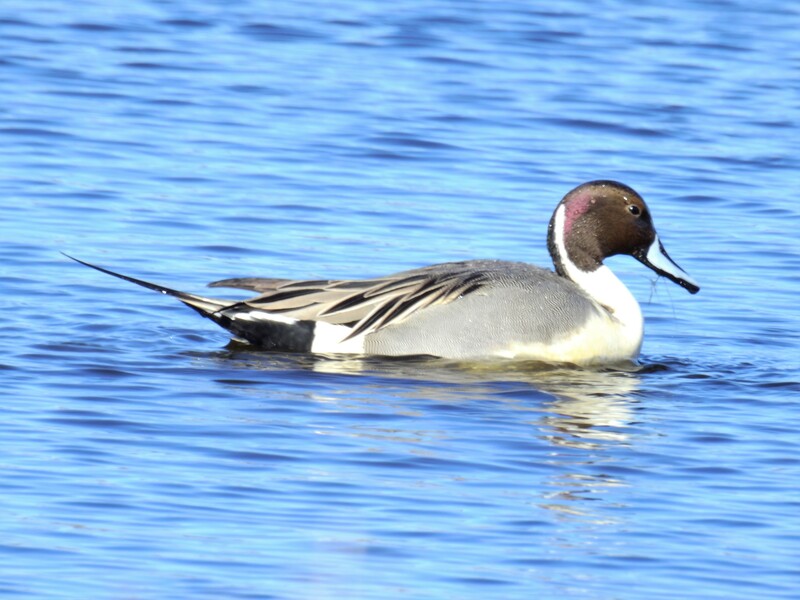 The Pintail or Northern Pintail (Anas acuta) is a duck with wide geographic distribution that breeds in the northern areas of Europe, Asia, and North America. It is migratory and winters south of its breeding range to the equator. 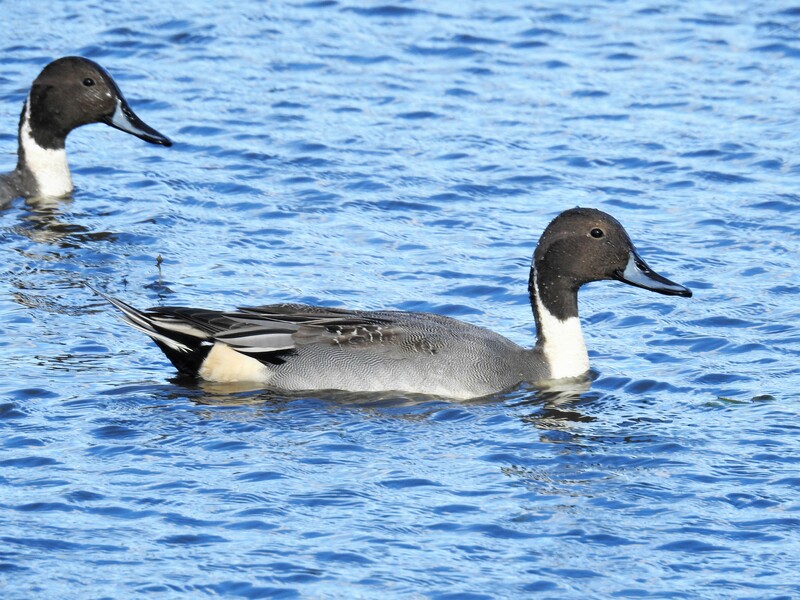 Unusually for a bird with such a large range, it has no geographical subspecies if the possibly conspecific duck Eaton’s pintail is considered to be a separate species. This is a large duck, and the male’s long central tail feathers give rise to the species’ English and scientific names. Both sexes have blue-grey bills and gray legs and feet. The drake is more striking, having a thin white stripe running from the back of its chocolate-colored head down its neck to its mostly white undercarriage. The drake also has attractive gray, brown, and black patterning on its back and sides. The hen’s plumage is more subtle and subdued, with drab brown feathers similar to those of other female dabbling ducks. Hens make a coarse quack and the drakes a flute-like whistle. 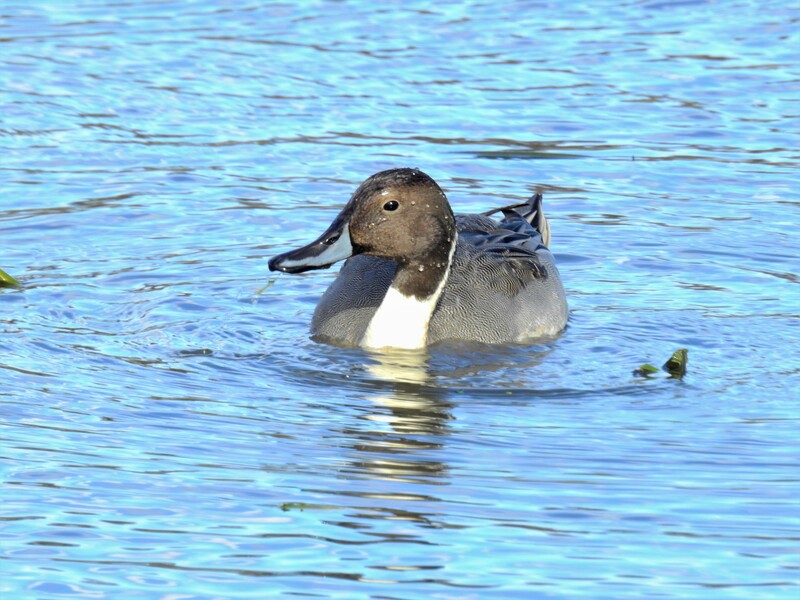 Like the Mallard, the Northern Pintail breeds in a variety of habitats all across northern North America and Eurasia. Also, like the Mallard, island populations have splintered off and evolved into separate species. Two closely related forms can be found on Crozet and Kerguelen islands in the very southern Indian Ocean, known as Eaton’s Pintail (Anas eatoni). 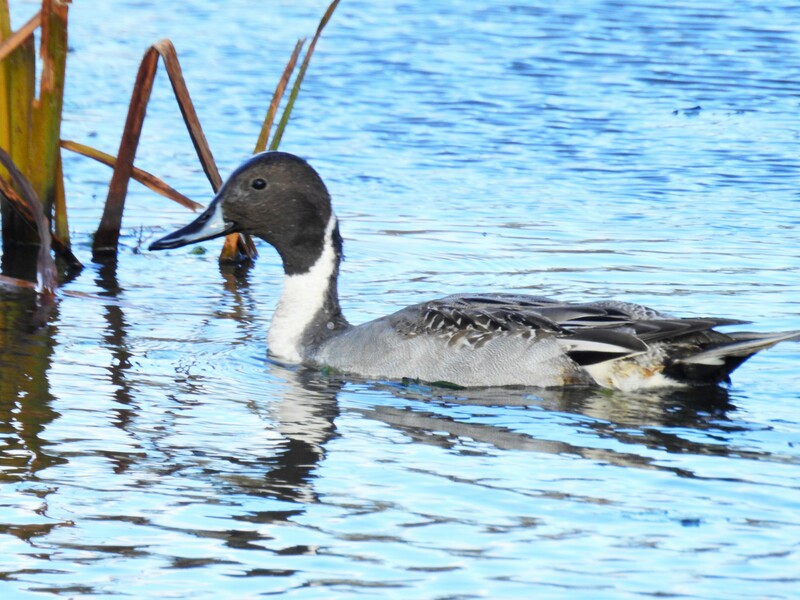 The oldest recorded Northern Pintail was a male and at least 22 years, 3 months old when he was found in Saskatchewan, Canada. 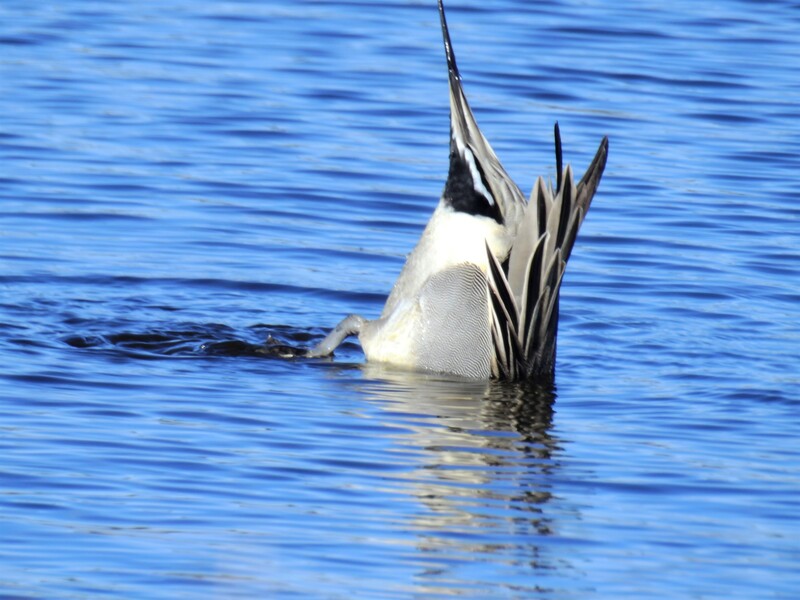 Northern Pintail (Male) diving for food.